My first pic of Nick and Silas. 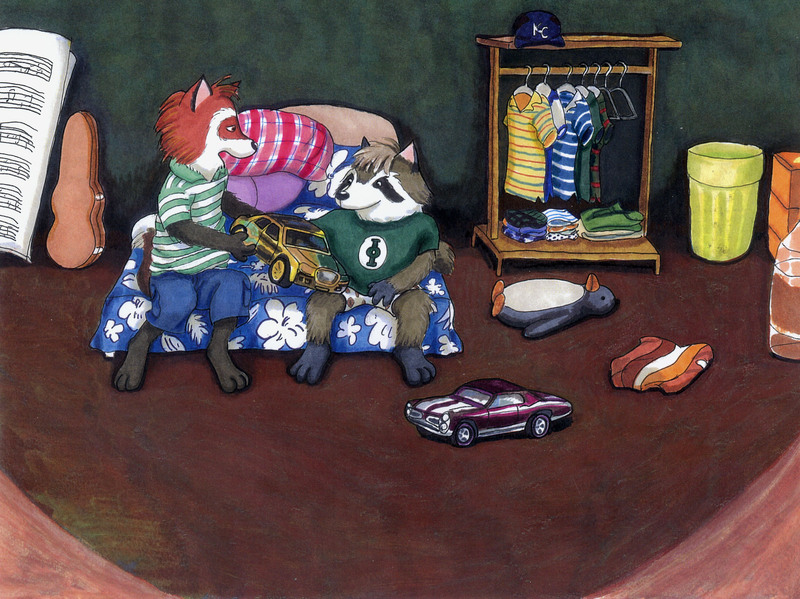 They're hanging out in Nick's den. Man, I like the way you draw raccoons!!! ‌Man, I like the way you draw raccoons!! !